Born in the snow, raised in the dust, and thrilled about blood. Mary Matuskey is an intense novelist who draws inspiration from her life of health and family struggles, and blends them with her love of music, romance, oceans and suspenseful movies. Mary grew up in Lower Michigan; severe asthma kept her indoors way too often for a child. Daydreaming while most kids played tirelessly outside kept her imagination well-nurtured. Her family of seven was forced to uproot to a drier climate in order to keep her health less combative, and it was the Arizona desert that set the stage for her to meet the love of her life, raise three musician children, work in hospice, and start a home care business. Unfortunately, her first spark of inspiration to start writing came when her youngest sister committed suicide. 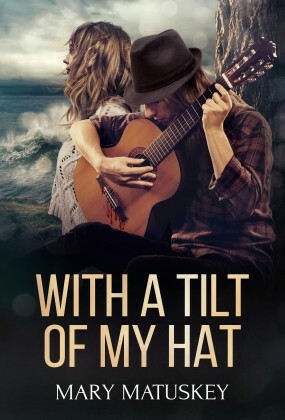 She wrote her first novel as a healing tool, which lead to her fiction writing endeavors and her first published novel, With a Tilt of My Hat.